Using the Better Business Bureau (BBB) gives you a better understanding of a business’s credibility. 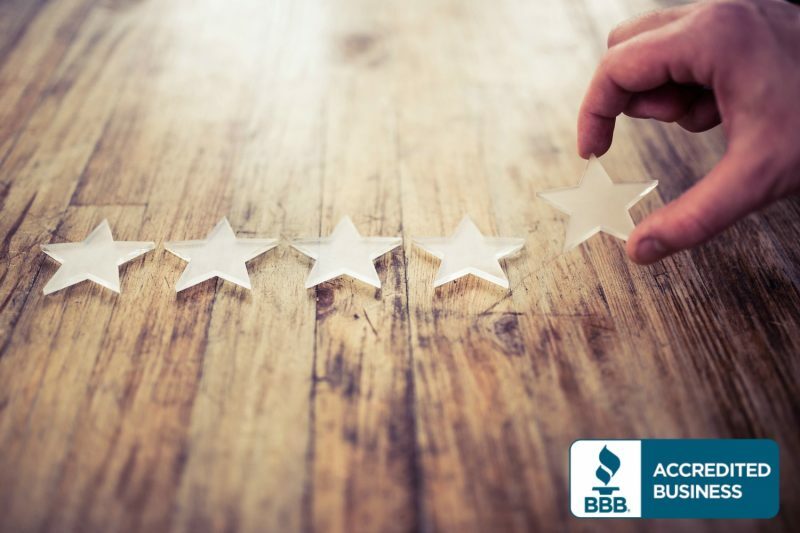 The Better Business Bureau contains customer reviews, a BBB score that is calculated through the rating system, and any complaints that have been filed. The BBB has been holding businesses accountable for years and uses a 17-factor assessment to determine a company’s trustworthiness as well as the likelihood to satisfy their clients. Sign an agreement with BBB agreeing that they will continue to abide by these standards and supports BBB’s efforts to educate and protect the public. A business can have positive reviews without having a BBB accreditation or A+ rating. However, you should question why the business is not accredited. The BBB takes into consideration positive reviews and how complaints are handled by the business along with the outcome of the customers concerns. PCS Debt Relief has maintained a positive track record on the Better Business Bureau and it is on key factor that sets us apart from our competitors. Our clients see debt relief before any payment is received for our debt relief services. We offer no up-front, cancellation, or monthly fees to assure our clients that we are focused on their success. Our programs include unlimited advising sessions over the phone or in person to ensure that our clients feel comfortable and informed during the length of the program. Call PCS Debt Relief today at (636) 209-4481. PCS Debt Relief provides free consultations and programs to fit your needs. We are happy to assist you in achieving financial stability.